Polar fleece is partly made from recycled plastic bottles. The fabric is light, soft and easy to wash. 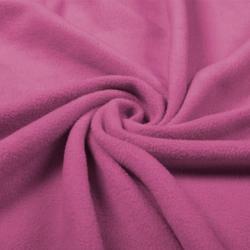 Advantages of the polar fleece are that the fabric is warm, dries quickly and is anti-pill. The fabric is often used for making hoodies, jackets, and sportswear. Quality: Polyester (100%) Width: 150 cm Weight: 275 g/m2 Product code: 5620010..
Quality: Polyester (100%) Width: 150 cm Weight: 275 g/m2 Product code: 5620009..
Quality: Polyester (100%) Width: 150 cm Weight: 275 g/m2 Product code: 5620040..
Quality: Polyester (100%) Width: 150 cm Weight: 275 g/m2 Product code: 5620083..
Quality: Polyester (100%) Width: 150 cm Weight: 275 g/m2 Product code: 5620094..
Quality: Polyester (100%) Width: 150 cm Weight: 275 g/m2 Product code: 5620042..
Quality: Polyester (100%) Width: 150 cm Weight: 275 g/m2 Product code: 5620071..
Quality: Polyester (100%) Width: 150 cm Weight: 275 g/m2 Product code: 5620039..
Quality: Polyester (100%) Width: 150 cm Weight: 275 g/m2 Product code: 5620017..
Quality: Polyester (100%) Width: 150 cm Weight: 275 g/m2 Product code: 5620068..
Quality: Polyester (100%) Width: 150 cm Weight: 275 g/m2 Product code: 5620097..
Quality: Polyester (100%) Width: 150 cm Weight: 275 g/m2 Product code: 5620057..
Quality: Polyester (100%) Width: 150 cm Weight: 275 g/m2 Product code: 5620041..